Originating from imported USA sled type dogs and mixed with Siberian Husky, Alaskan Malamute and German Shepherd, they then were exported to Finland where more recently other ferral looking sled type dogs have been added to improve the American Tamaskan. The purpose was to create a dog that looks like a ferral in appearance with working ability. Large and athletic. Males should be strong and poweful in appearance but females should be feminine without weakness or loss of power in appearance and both will have a ferral like appearance with thick coarse fur, and small ears with a straight, sickle like bushy tail. The Alaskan Klee Kai was developed in Alaska by Linda Spurlin and her family, to be a companion-sized version of the Alaskan Husky. 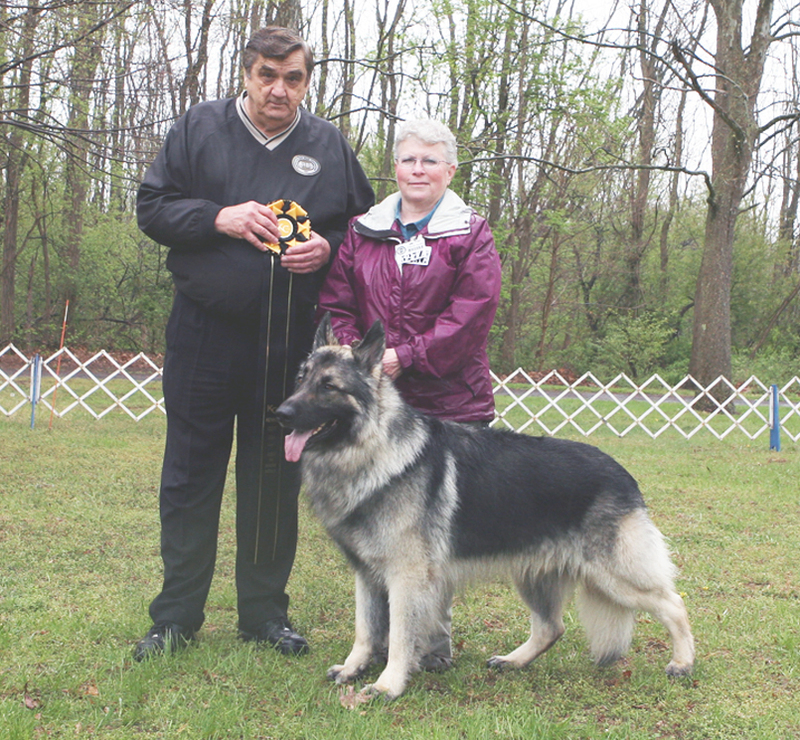 From the early 70’s through 1988, the Spurlins carefully selected dogs who met their high standards for appearance and soundness. In 1988, they made the Alaskan Klee Kai available to others. Mrs. Spurlin originally called her new breed the “Klee Kai,” but in 1995 it was changed to “Alaskan Klee Kai.” The Alaskan Klee Kai is still extremely rare. The Alaskan Klee Kai was recognized by the United Kennel Club January 1, 1997. GENERAL APPEARANCE The Alaskan Klee Kai is a small version of the Alaskan Husky, with a wedge-shaped head featuring a striking masked face, prick ears, and a double coat. The length of body is just slightly longer than the height. The tail is well-furred and curls over the back or to either side when the dog is alert or moving. 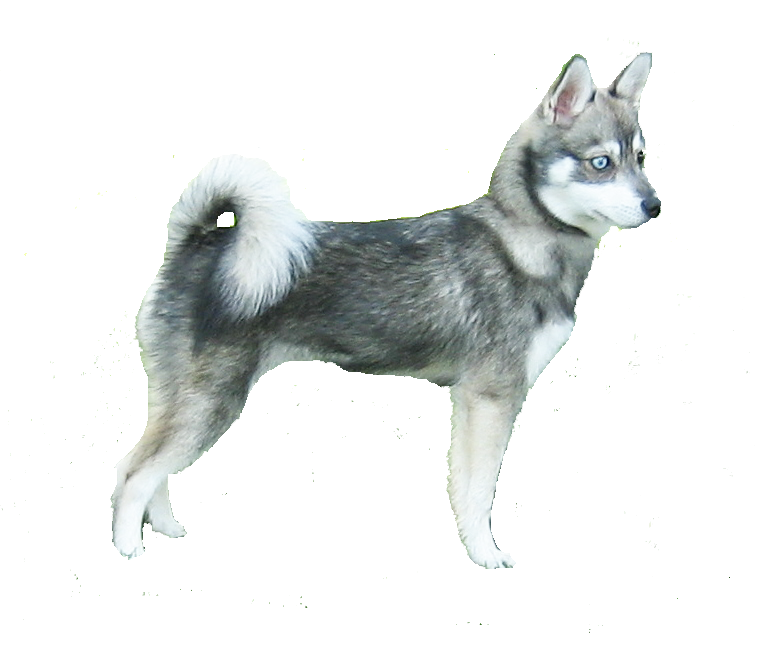 The appearance of the Alaskan Klee Kai reflects the breed’s Northern heritage.